Nur-Sultan, April 9: Kazakhstan's President Kassym-Jomart Tokayev on Tuesday called a snap election for June as the Central Asian nation seeks a new leader following the shock resignation of its longtime ruler. Nursultan Nazarbayev, the only leader an independent Kazakhstan had ever known, announced suddenly he was stepping down last month after nearly three decades in office. Kazakhstan President Nursultan Nazarbayev Resigns From Post After Ruling for 28 Years. "We must continue to work on the implementation of the strategy of Elbasy,"
The potential elevation of Dariga has raised concerns that Nazarbayev is looking to put in place a dynastic succession. Nazarbayev, 78, has the constitutional status of "Leader of the Nation" as well as chairmanship of the ruling Nur Otan party and a lifetime position as chief of the security council. Nazarbayev is known for careful diplomacy that privileges key partners Russia and China while maintaining cordial ties with the West. The capital was quickly renamed from Astana to Nur-Sultan in his honour following his resignation. Just last week, Nazarbayev was quoted as saying there remained "much work ahead" for him. 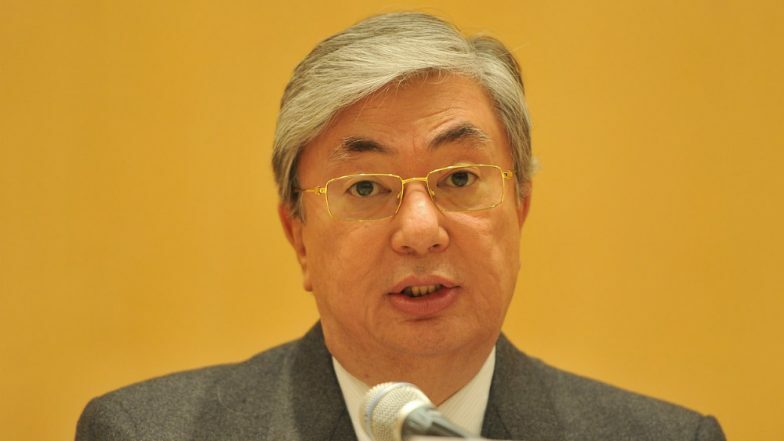 Tokayev, a 65-year-old career diplomat, had on Monday held a meeting with top officials, in a move widely seen as foreshadowing the snap vote.